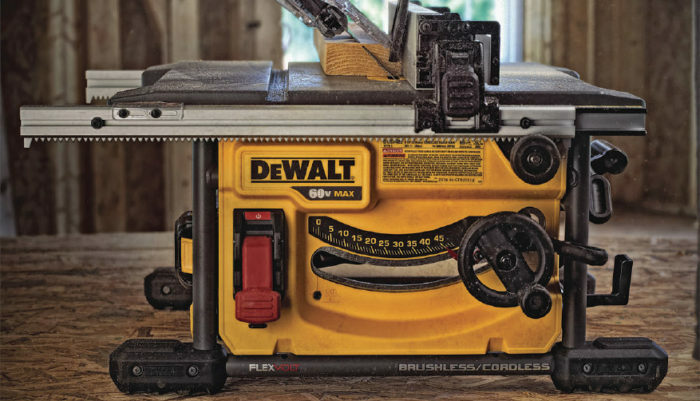 Tool Review: The DeWalt DCS7485 features a rock-solid rack-and-pinion fence and tubular frame. You’re probably looking at this article and saying, “Really? 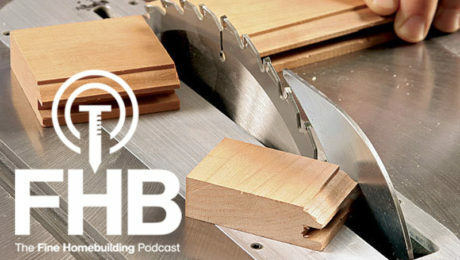 A cordless tablesaw?” But my work as a finish carpenter requires me to be power independent. The new homes I’m trimming are still awaiting electrical devices, so I either need to use a generator or fight over a couple of outlets with four or five other trades. Cordless tools allow me to leave my generator at home, and avoid conflicts over available power. Before I get into the DeWalt saw itself, let’s talk about the battery. The Flexvolt system provides two voltages from the same pack. Ordinarily, it puts out 20v (18v nominal), so it’s compatible with most DeWalt 20v Max tools (the larger pack won’t fit in some models) and can be charged on older DeWalt 20v chargers. But when the same pack is connected to a Flexvolt tool, an internal switch boosts the pack’s output to 60v (max). While the Flexvolt sliding miter saw offers an AC adapter (See “Cordless Sliders,” FHB #266), there isn’t one for the Flexvolt tablesaw. 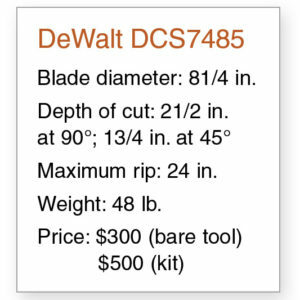 DeWalt tells me that this is to keep the saw as compact and lightweight as possible. 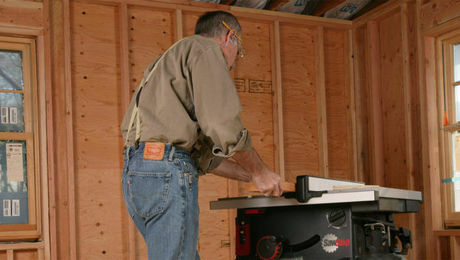 The Flexvolt tablesaw is based on the extremely popular DWE7480 compact job-site saw (See “Ultra-Portable Tablesaws,” FHB #248), with its time-tested rack and pinion rip fence. 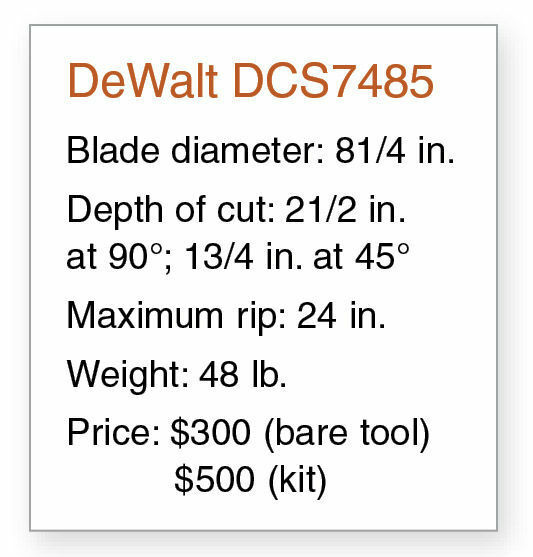 In terms of battery life, I tested the saw with the included 24-tooth blade and found I could easily cut 300 ft. of 3⁄4-in. stock with the standard 6-amp/hr battery. The average contractor could use the saw all day for making occasional cuts, but heavy users will need a spare pack. 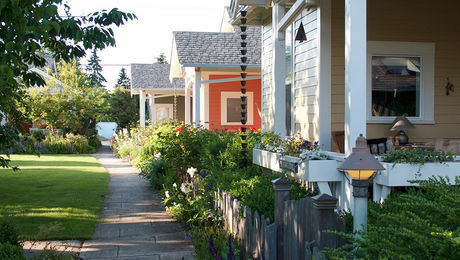 I’ve used the saw on jobs ranging from deck builds to flooring and kitchen installs, and for trimming out a few remodels. Power-wise, this saw impressed me. 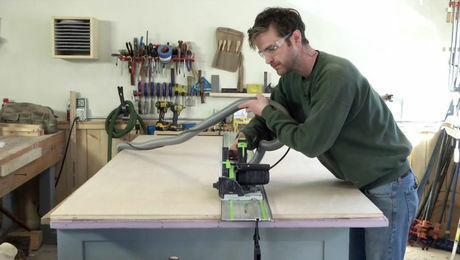 The brushless motor churns through standard building materials, even solid hardwood flooring, and I was able to make glass-smooth cuts when I installed a high-quality standard-kerf blade. I only have two minor gripes about the saw: The emergency stop has a return spring that is too strong. When you release it after turning on the saw, it often slams down, shutting off the saw. I finally disconnected the spring because it was so frustrating. The second issue is that the blade speed slows slightly as the battery depletes. After, say, the first 25% to 35% of discharge, you are left with a slightly lower rpm for the remainder of the charge. 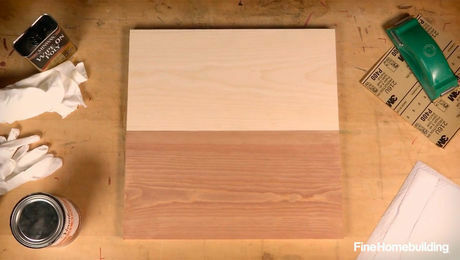 This has a minor effect on the smoothness of the cut, so you’ll want a fresh battery if an extra-smooth cut is critical. I’m told that this problem has been improved in later production models, but I’m not able to confirm. All in all, this saw capably fills a void that has been empty for years. 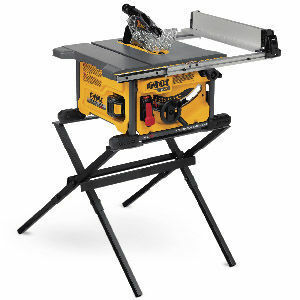 Contractors working in locations with limited or no power finally have a tablesaw option that doesn’t involve a droning generator.